If you are a new student please take the time to complete the Health questionnaire and the Disclaimer Form. This will enable me to be aware of any injuries or health concerns you may have prior to starting your practice. If it is your first time please arrive a few minutes before class commences so you can chat with JC. Avoid eating a heavy meal before class, this will interfere with the postures and the breathing by restricting the spaces in the abdomen. Please bring a bottle of water with you to stay hydrated. Phones – Please make sure your phone is off during the class to avoid any disturbance. Please bring a mat & a blanket if you have one so we can wrap yourself warm during the meditation. 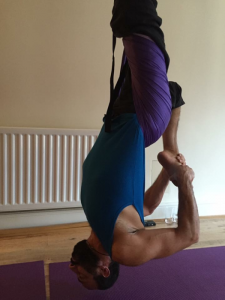 What is a Gravatonic Swing Yoga? Go deeper without the extra effort . The Swing ( Hammock) is a prop like a strap or a block , intended to assist alignment , deepen awareness and provide the immediate benefit of spinal decompression . 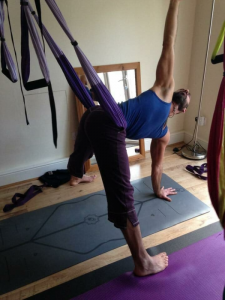 With the weight of the body partially or fully supported along with the help of gravity , you can explore and create space in your body as intended in traditional yoga practice , without the compression of the joints and spine , you can achieve proper posture and alignment through relaxation rather than effort , therefore finding a more balanced and unencumbered expression of each pose . I understand that by ticking this box, I have reserved a place in this class. Please contact Jean-Claude on info@www.jcyogi.com / 07863510598 at least 24 hours before class if you have to cancel your reservation. 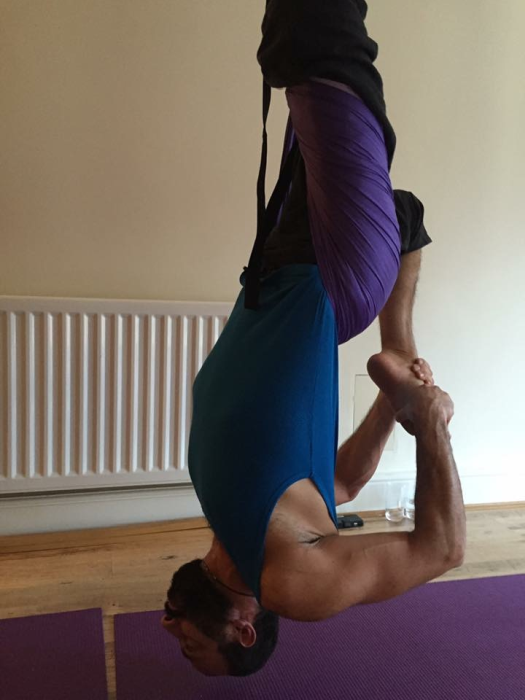 The yoga class runs from 19:35 until 21:00 every Wednesday in Laleham Village Hall. £80 for an hour private tuition at your own place within 10 miles radius from TW18 (£125 for two people). Details on our yoga workshops can be found on our Workshops page. Details on our yoga retreats can be found on our Retreats page.